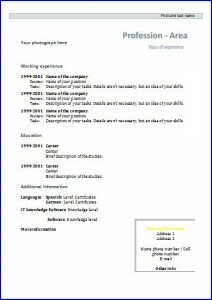 Curriculum Vitae template with a modern but formal style. 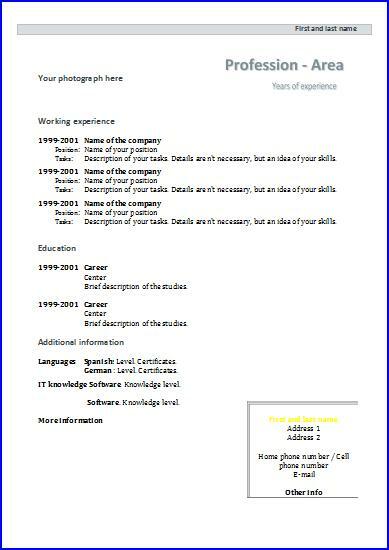 This CV template has an innovative, different look but it’s still formal. Recommended for job offers in creative companies, from traditional or new technologies companies.